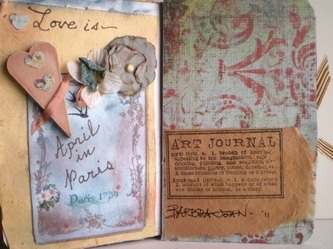 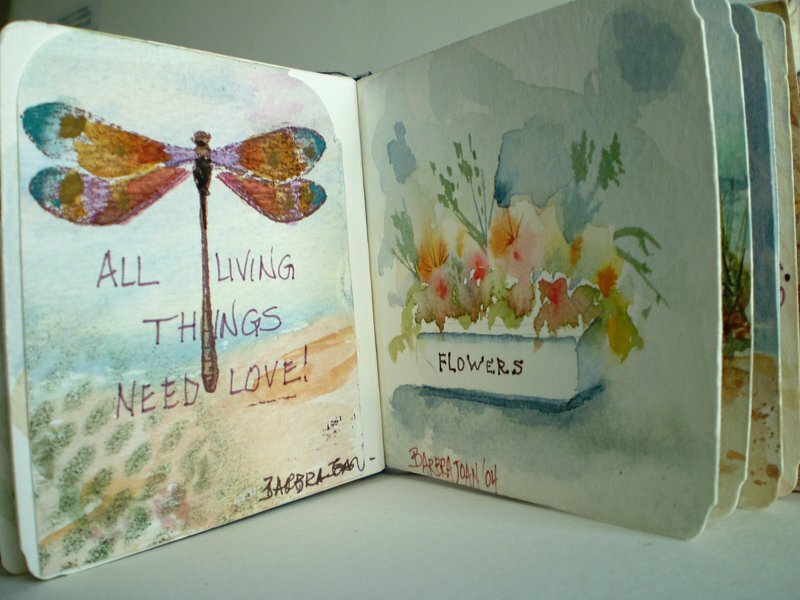 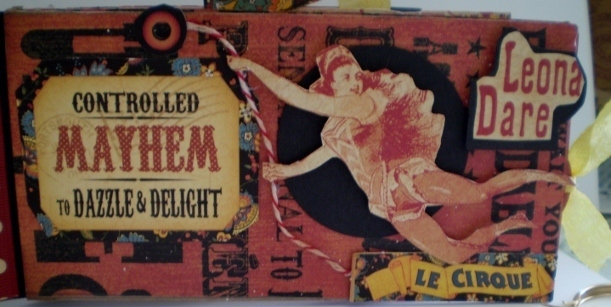 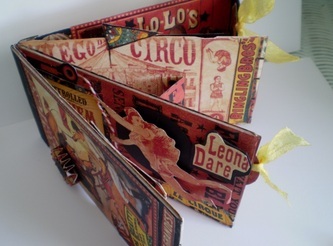 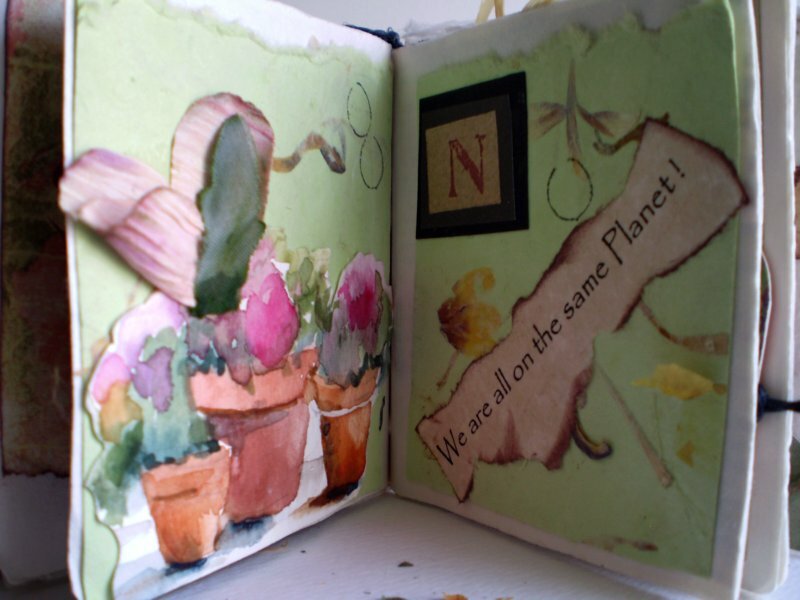 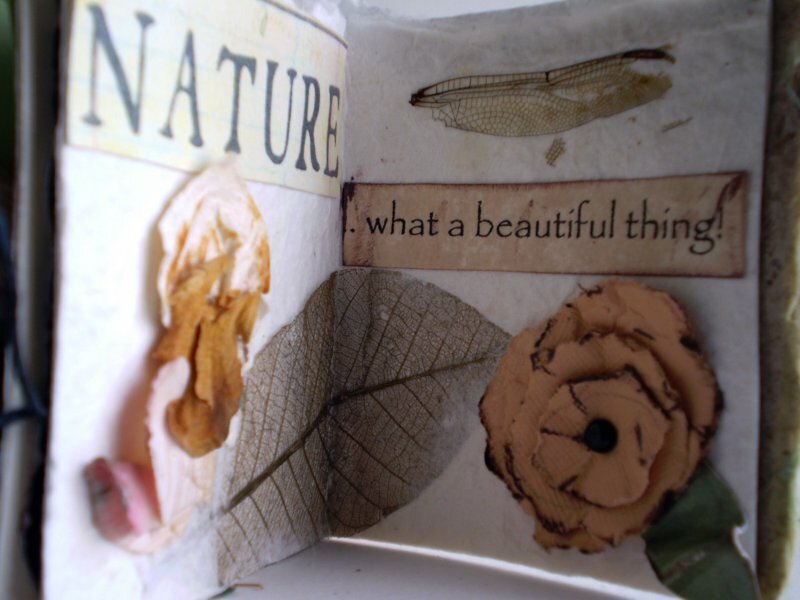 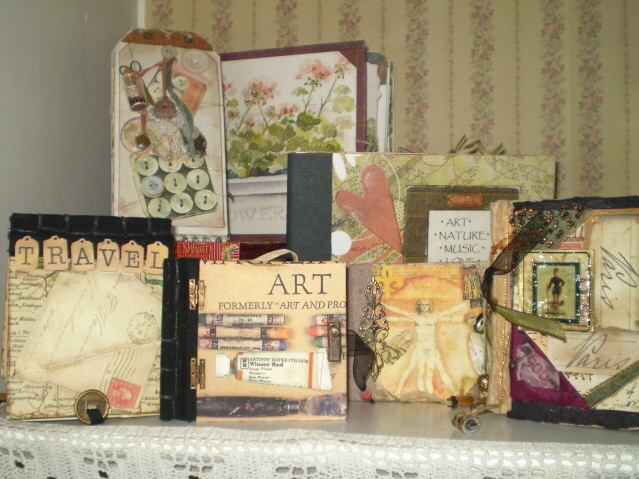 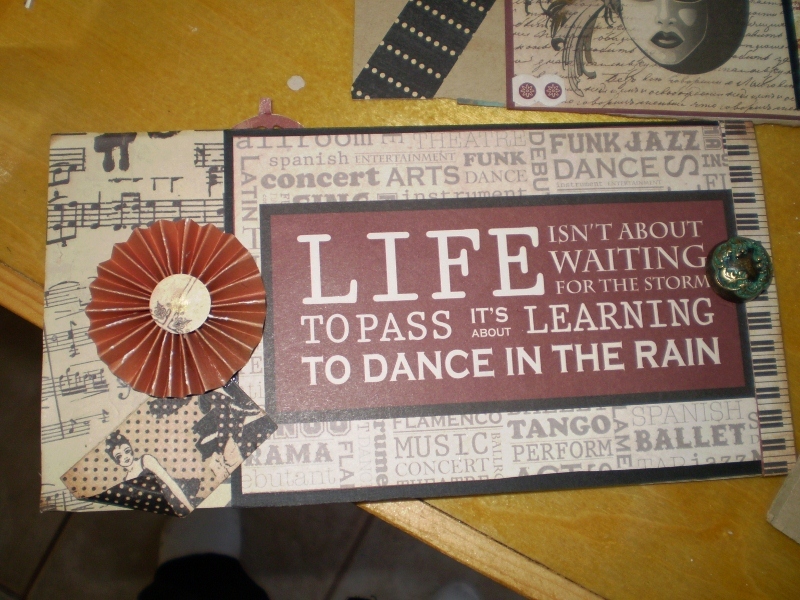 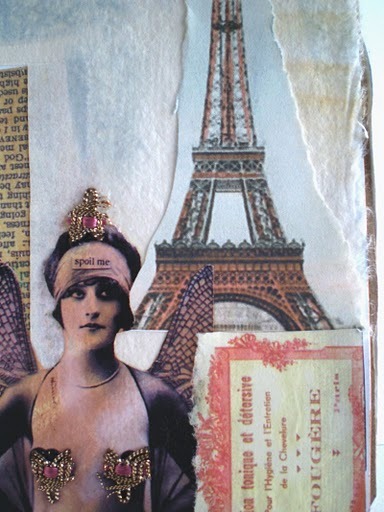 ~ Small Handmade Art Journals ~ Collages ~ Usually a different theme for each one. 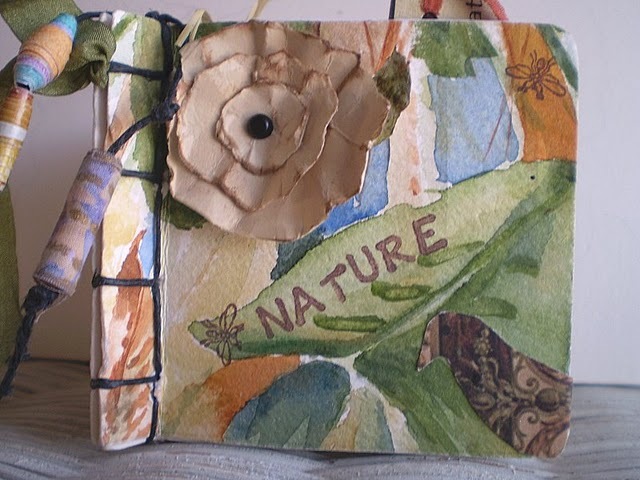 These might include art, nature, travel, different countries and cities such as France , Italy , Paris to name a few. . Watercolor, inks, stamps, paper beads, collected ephemera, real twigs, feathers are used to make these small treasures. . Most journals measure less than 4 or 5 inches in size, and are hand bound with waxed linen thread and other fibers. 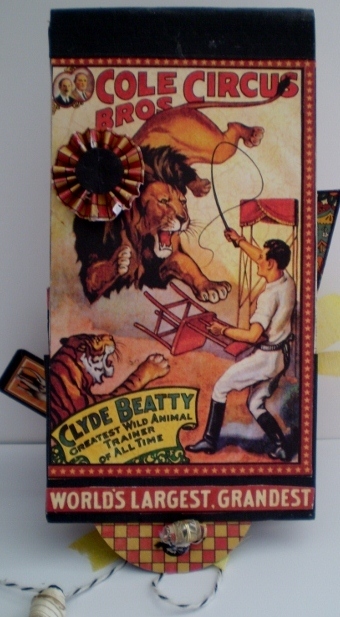 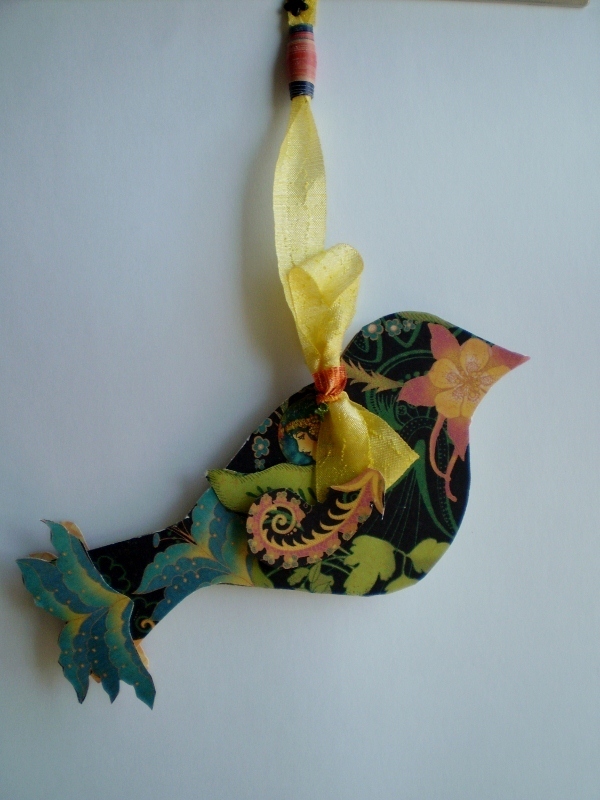 Paper arts has been a longtime passion of mine, and I've been part of groups that trade ATC's or Artist Trading Cards . These are some of the pages from the Nature and Paris series.